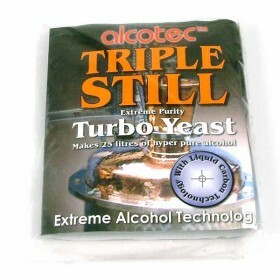 Add to any High Alcohol Yeast for a clean smooth spirit. Turbo carbon is essential for removing impurities during fermentation. 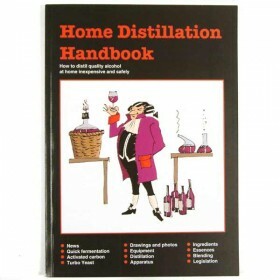 It has a unique activated internal pore structure that removes impurities that are not taken out by post distillation filtration. 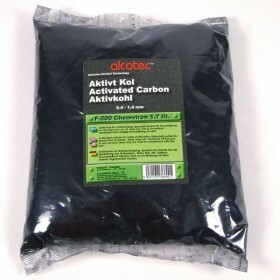 The pack contains 130 grams of activated carbon, and is sufficient to treat up to 30 litres of wash. 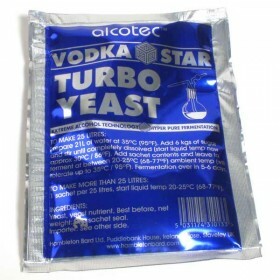 When I first started using one of the fast fermenting Turbo yeasts, I wasn't happy with the rather smelly resulting brew. 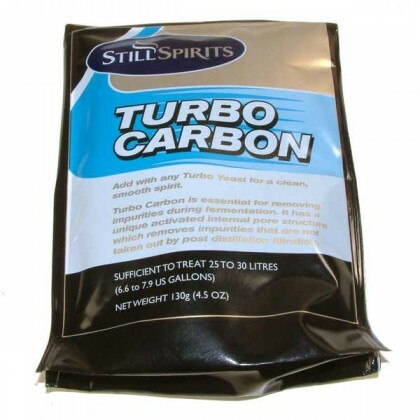 I now add Turbo Carbon at the start of fermentation and most of the foul smells are removed when the brew is racked. 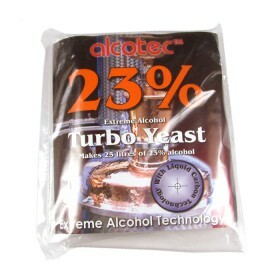 I first used Turbo Carbon as a means of reducing the off flavours when fermenting Turbo Yeast. 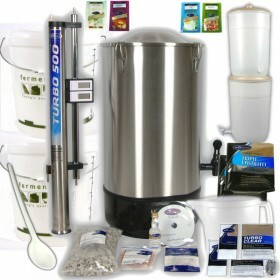 At first, it seemed very odd to have a black fermentation, as Turbo Carbon turns the liquid black / grey. Once fermentation is complete, the Turbo Carbon drops to the bottom and if turbo finings are used,the brew is bright in a couple of days.